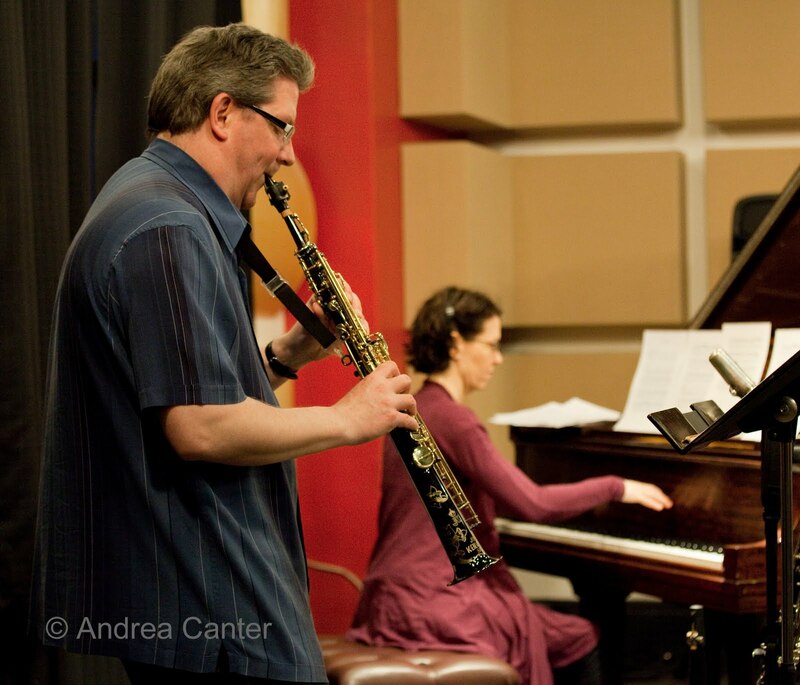 I think what appeals to me most about jazz, and more generally what is often dubbed “experimental music,” is witnessing the act of creation on stage. That creative act might be as subtle as a minor alteration of a well-known melody such that it evokes a slightly different feeling; or it might be as dramatic as spontaneous improvisation where there was no pre-determined key, mood, harmony or communication plan, yielding one surprise after another. 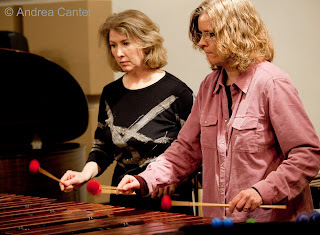 “Experimental music” is based on this art of surprise, be it through-composed or fully improvised; it seems to be a label applied to a broad spectrum of music that otherwise defies (and rejects) labeling. Local ensemble Zeitgeist has helped define the undefinable over the past 30 years through performing, collaborating and promoting new compositions, often with guest artists who bring unlimited artistic possibilities to the intimate soundspace of Studio Z in St. Paul’s Lowertown. 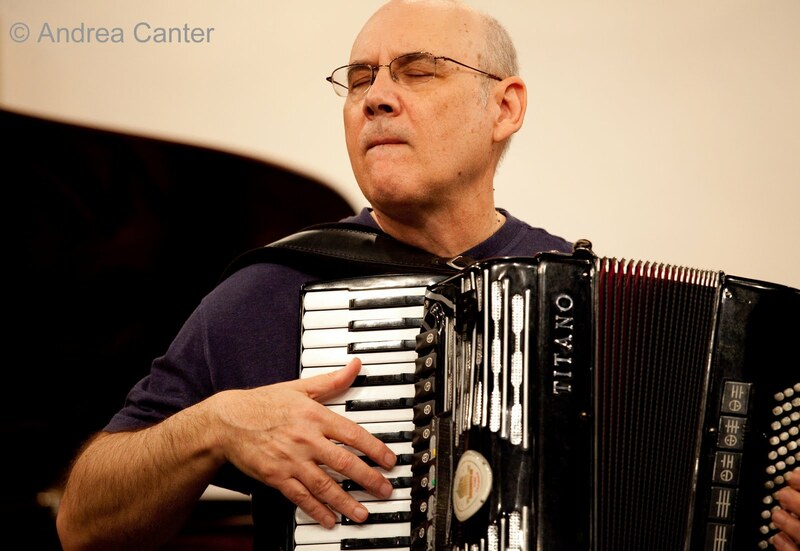 This week, that special guest is Guy Klucevsek, a New York-based wizard of accordion and composition. I’m not sure about the “old fashioned” part. But fun, for sure. 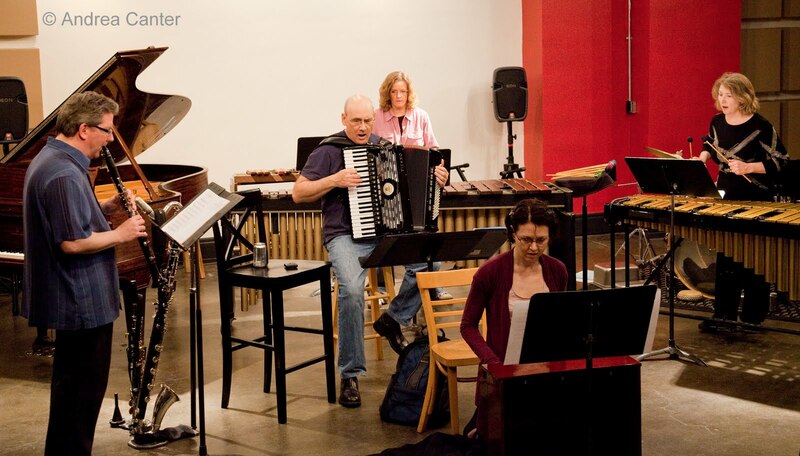 Tickets for “Hammers, Horns, Skins ‘n Squeezebox” are available at the door ($10) or from Zeitgeist’s website. Shows at 7:30 pm, May 12-14, at Studio Z, 275 E. 4th Street, St Paul, across from the Farmer’s Market and kitty-corner to the Black Dog Café, in the middle of Lowertown’s New Music (and light rail) corridor! 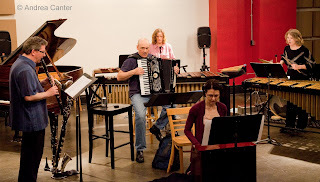 Thanks to Zeitgeist and Guy Klucevsek for opening their rehearsal to me and my camera.